AC / DC Power Adapters have become the crucial element of today's power needs of the smart devices like Laptops, Smartphones, Cameras, GPS, Gaming consoles, Routers, etc. These adapters are designed to precisely provide the desired power to the consumer electronics in order to ensure their effortless functionality. Super Power Supply® offers an extended range of power adapters for almost every popular make and models of consumer electronics available in the market like laptop power adapter, smartphone power adapters, tablets & eReaders power adapters. 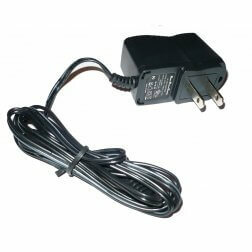 While almost all electronic devices come with OEM power adapters during purchase, but there are times when we misplace or damaged the OEM power adapters. Besides, there are instances when the OEM power adapters do not meet up the customer's expectations. For all these scenarios, compatible AC / DC power adapters by Super Power Supply® make the perfect choices. Buy power adapters from us for all your devices to ensure maximum up-time. 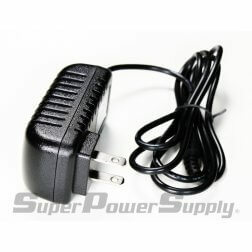 Why Super Power Supply® Power Adapter? At Super Power Supply®, quality is paramount for us. Each of our offered adapters is designed as per the industry standards to meet or even exceed the manufacturer’s original specifications. Moreover, our products are also CE & FCC Certified. 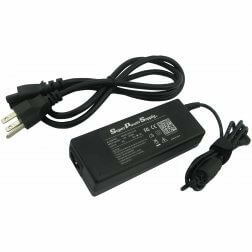 We do not only offer laptop power adapter and smartphone power adapters, but our offering also extends to power adapters for portable audio/video products, DVD players, GPS, digital cameras, MP3 players, handheld gaming systems, and tablets & eReaders power adapters. Above all, each of our offered power adapters is backed by 30 Day Money-Back Guarantee and 1 Year Exchange so you can never doubt on our quality.